Tags: Fawn, Maxi, Nikah & Engagement, Pistachio. 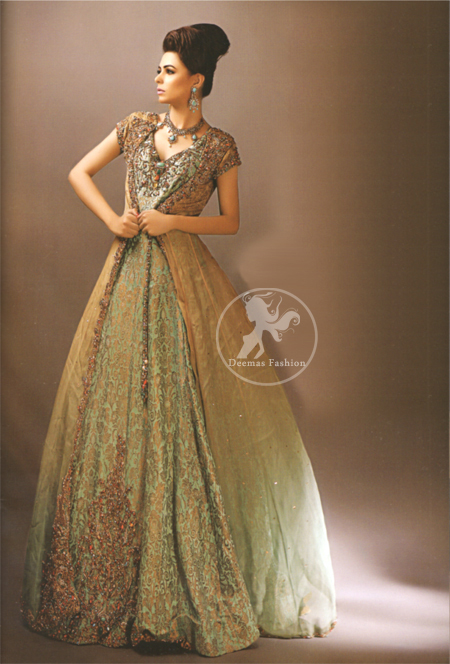 Fawn pure chiffon embellished gown with pistachio green katan jamawar / atlas maxi with embellished caps sleeves. Maxi has been adorned with embellished neckline and motifs at the bottom.